James Hartigan looks back on Sebastian Malec's miraculous EPT Main Event win in Barcelona in 2016. 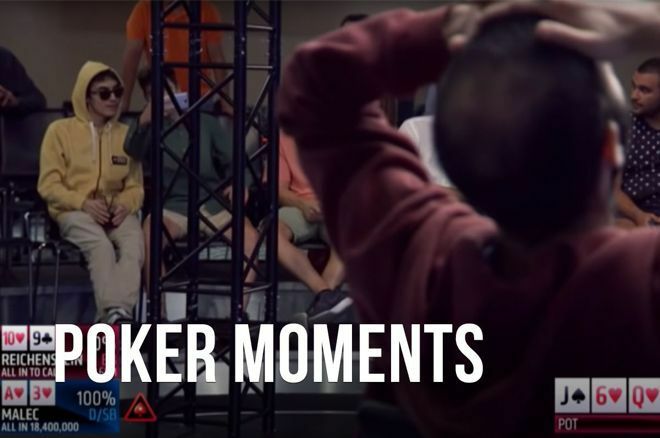 In the summer of 2016, one of the most bizarre and exciting final hands of any tournament brought a controversial PokerStars EPT Barcelona Main Event to a close. Sebastian Malec defeated Uri Reichenstein to claim the title he’d imagine winning his whole youth. The ultimate fan of the European Poker Tour won the most coveted title of his dreams. EPT Barcelona, however, was no ordinary EPT. PokerStars had halted play before the first card was dealt to break the news to fans and players alike that the EPT was being closed as a brand, and that the new PokerStars Championship (PSC) was the way forward. James Hartigan, presenter, commentator, and senior editorial manager of the EPT and many other PokerStars shows, remembers the moment well. "I don’t think there’s any harm in anyone saying, 'OK we made a mistake, we never should have ended the EPT, and we’re bringing that back.'" Looking back, everyone has 20/20 vision in retrospect, but at the time, Hartigan thinks that the ‘final days’ element helped created one of the most unique Main Event winners the EPT has ever seen. Malec was young, just about to turn 21 when EPT Barcelona Main Event rolled around. Malec was almost unheard of, yet strangely had been in the winner's photo for an EPT previously. No-one has ever won an EPT like Sebastian Malec did. From bathroom habits to a pantomime every time he was in a hand, Malec was like an excited child on Christmas Eve. He was going to get the present of a lifetime. No-one had any idea how invested. But Hartigan and the team interviewed every player on the eve of the final table, and the picture became clear. Malec was a fan. A superfan. "It was a combination of nerves and excitement that made him behave the way he did." It turned out that Malec was a student who had visited the EPT tournament while studying in London. Malec’s final hand was the poker moment of his life, and possibly that of his opponent, Uri Recihenstein too, just for different reasons. Malec turns a flush, with Reichenstein making the nut straight with the same card. Malec goes all-in on the paired river, and Reichenstein then proceeds to deliberate the call which would end the tournament in his opponent’s favor, while Malec prances, dances and prowls around the table. Malec even left the table to take a selfie with the crowd on the rail, to raucous laughter. “Malec walks away from the table. Part of you loves it, part of you knows that the tournament staff probably shouldn’t let him leave the table and sit in the crowd and letting someone take a sip of his drink. But it was so fun to watch. More than that, Sebastian Malec goes through every human emotion from the moment Uri Reichenstein throws in that single chip to call. The sheer excitement as he jumps up and realizes that he’s got to get back to the table, flips over his cards, he’s jumping for joy, then the emotion hits him, and he realizes ‘Oh my God, I’ve won!’ and he just bursts into tears. 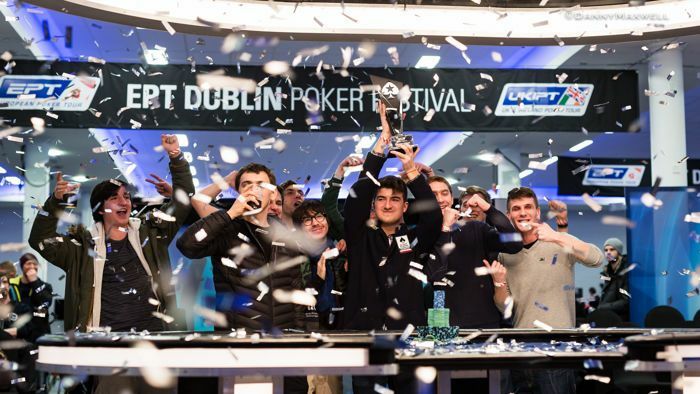 Better players have won EPT Main Events. Bigger names have never even got close to achieving what Malec did. It was clear that his EPT win was the biggest moment of the young man’s life. "To see the TV set, all those tables, the pros, and then play on the tour and win it, is just an incredible journey which encompasses everything about why we do what we do." We can all identify with the pain Reichenstein is in. He’s turned an improbable straight heads-up and knows that it’s a huge hand and he should be winning. But his gut is screaming at him to fold. He has to know if his gut is right or wrong. Sebastian Malec will always be remembered, and for many reasons, so will the 2016 EPT Barcelona festival. Hartigan believes that Malec’s miraculous moment in the sun is something that brings together the aspiration and organization of the EPT.